Dental checkups are one of the most important and effective services we provide every day here at Monet Aesthetic Dentistry. They give Dr. Metzger and our team the chance to not only learn about our patients’ unique oral health needs, but also the opportunity to formulate their personalized treatment plans. When you come in for a checkup with us, it will start with a member of our team taking some X-rays as well as a few intraoral images. From there, Dr. Metzger will perform a thorough oral exam. During this, she won’t only look at your teeth, but also your gums, bite, jaw, and any existing dental work you already have. The American Dental Association recommends that everyone should have at least two checkups each year, and this is because it gives your dentist the ability to catch minor issues before they can become big headaches later. 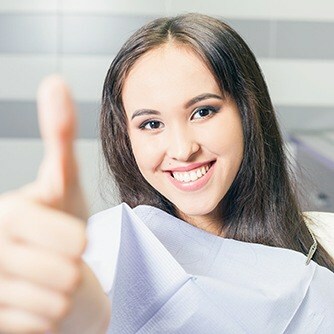 If Dr. Metzger spots a problem, whether it’s a cavity or a badly worn restoration, she can then provide you with multiple options on how to fix it and even schedule a follow-up appointment. Basically, checkups help us make sure your smile looks and feels great year after year! When was the last time you or your child had a checkup? If it’s been more than six months, then it’s time to come see us! We can’t wait to meet you, so give us a call today.